Elections – Are Canada and the USA Any Different, Really ? Push Hierarchy? Pull Hierarchy? Holacracy? Holarchy? Heterarchy? Wirearchy? 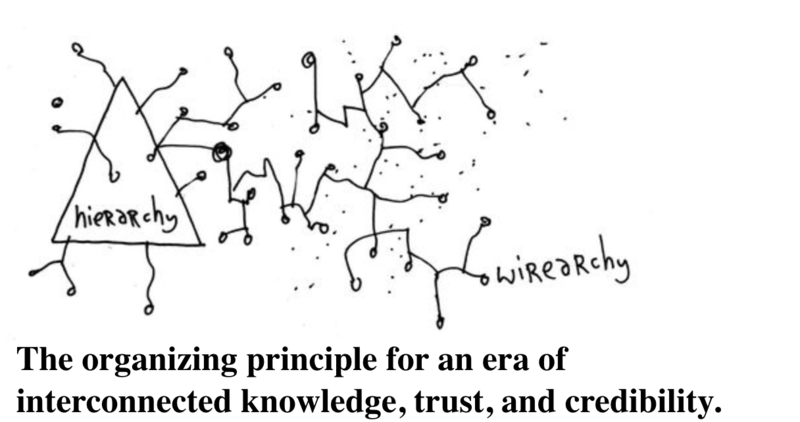 Wirearchy and the opposite of patriarchy | gBRETTmiller dans What Is Wirearchy ? Trust dans What Is Wirearchy ? Organization design and new ways of working: additional resources dans Push Hierarchy? Pull Hierarchy? Holacracy? Holarchy? Heterarchy? Wirearchy?